For my second test shoot I am looking at yearbook/school portraiture, they are common place in our memories and in family photo albums. I am particularly looking at stereotypes of students that we often see in films and perpetuated in real life. 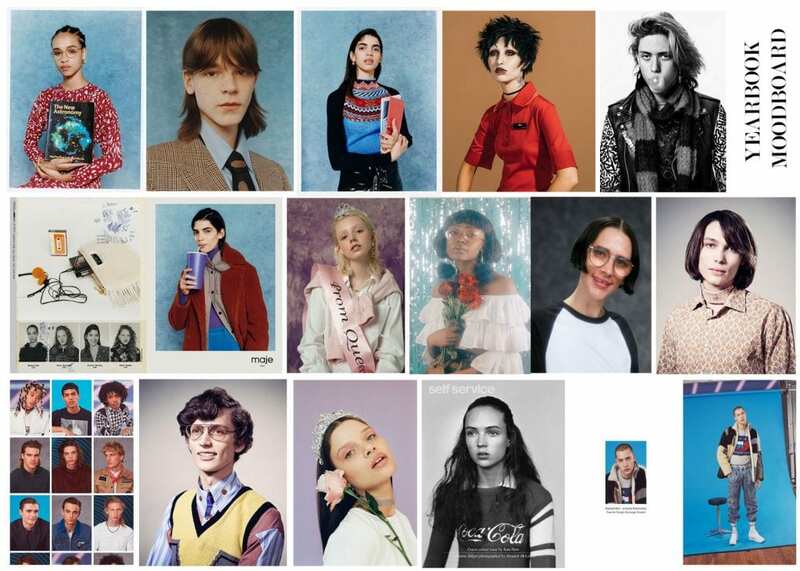 The kind of school hierarchy and subcultures, I know in my school years there was always people defined as popular, athletic and pretty whereas others were viewed as weird outcasts, so I am going to photograph a series of people embodying these social stereotypes. I want the shoot to have a kind of fun and exaggerated element to it , kind of making fun of those identities which seemed so rigid at school. However I still want it to have a strong and stylised fashion element, so I am planning their identities meticulously and referencing my own high school memories , also playing heavily on the american high school experience which I think is embedded in a lot of our memories growing up as many of the coming of age films for the millennial generation as based on the american high school experience. For example, The Breakfast Club, Clueless, Grease, Mean Girls etc I think invoke nostalgia in people my age, they certainly do for me as I grew up watching them and associate those films with experiences in my younger life. 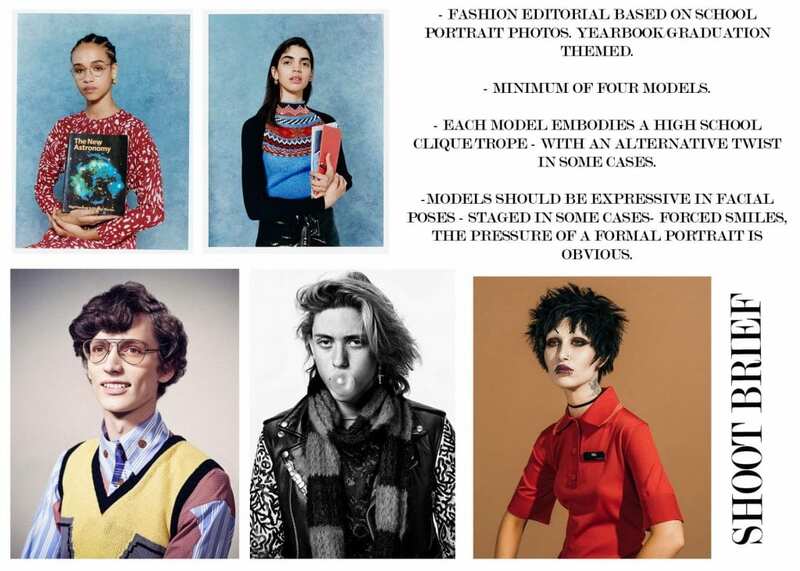 Below is the shoot brief and initial concept moodboard.